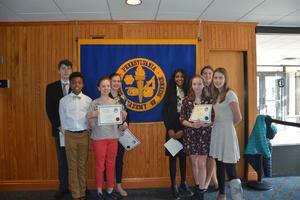 Students who earned 1st place are invited to present their experiment again at the PJAS state competition at Penn State University in May. Congratulations to all! Emma also won the Duquesne medal for excellence for the top score in the Botany category among middle school presenters at PJAS.